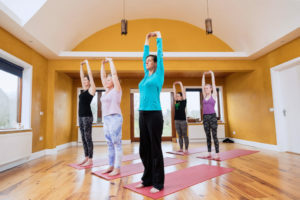 If you’re looking for a yoga teacher in Ireland, then check out our comprehensive list of graduates from the Ard Nahoo Yoga School programme. All of our teachers are trained to teach in a sensitive, fun and life-enhancing way. We’re in the process of collating all of our graduate class information, so please keep checking back! If you need advice about finding a teacher anywhere in the country (or further afield!) do let us know and we can help in any way we can. Anna Maria Carroll Roscommon Town Beginners to intermediate Derrane Resource Centre Women 7.45pm Men 9pm. All classes are open level. Jillian Doyle Dublin Anusara elements yoga class offered in Down Dog yoga studio, Swords at 10am every second Saturday. Check the studio website for costs. Jackie Quinn lives in Quin Co Clare. Teaches yoga & Meditation in Quin & Ennis Co Clare. more importantly was the quit, calmness I felt after that first class, I was hooked. more grounded, connected and calm. then went on to study a 200 teacher training program with David Curtis in Vinyasa flow. secondary to the spiritual impact of my practice. 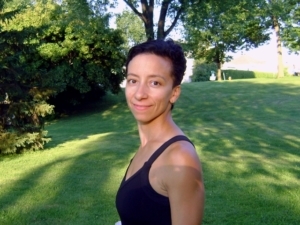 I have a deeper understanding of the tradition, philosophy, history & yoga teaching skills. I believe through the practice of yoga we can find balance, clarity & stillness in our minds.